I was in Lisbon, judging a competition of Portuguese wines. It was an interesting cultural exercise. On my panel there were 5 Portuguese, a Swedish guy (Per Karlsson) and me. Per and I don't have anywhere near the same palate. We disagreed frequently and by large margins: him giving gold and me grimacing, and vice versa. But occasionally the two of us lined up against the Portuguese, particularly on the topic of what a Portuguese wine should taste like. One wine that both Per and I liked, the Portuguese hated, saying, "This could be first-growth Bordeaux." To which we said, "Yes, it's that good." Five against two: No medal. Anyway, we had a flight of rosés that were dreadful, one after another. Nothing to like about them. Over-extracted, overly tannic, lacking in fruit character, oaky. Not flawed in the sense of corked or infected, but just not made for drinking pleasure. Another writer, Ryan Opaz, heard our plight and said, "Maybe you should have had Mateus Rosé in that flight." I laughed. Mateus Rosé. The very idea. Silly Ryan. That evening, I found myself at a dinner table with Antonio Oliveira Bessa, CEO of Sogrape, the largest wine producing company in Portugal. Sogrape now owns Sandeman and Gazela and some other big brands, but the company built its fortune on Mateus Rosé. Bessa had reserved a stylish restaurant for the evening for his guests, wine judges from other countries, and brought some of the company's nicest wines to pour. I said, thank you for the fine wine in front of me, but could I have some Mateus? In so doing, I was getting in touch with my inner Queen. Queen Elizabeth was at a private party at the Savoy Hotel in London in the early '60s when she was dissatisfied with the wine selection and asked for some Mateus; the hotel manager had to send out for a bottle. Fortunately, Bessa and I were in Lisbon, not London, and the restaurant had some in stock, chilled even. I wish I had tried it blind in that group of crappy rosés for perspective. I believe Mateus would have earned a gold medal. It's a medium-light pink, very slightly fizzy, with good freshness and balance. There's a nice aroma of rosehip, and the wine is mostly dry but not bone-dry. It is more floral than fruity, with dried raspberry notes coming out more with food. Bessa says about 10 different red grape varieties go into Mateus. Most come from the unheralded Beiras region; it is a very cheap wine (about $5 in the US). Even though Sogrape owns 1500 hectares of grapes, it buys almost all the grapes for Mateus. "We need grapes where we can control the freshness for our red and white wines," Bessa says. "It's easier to buy grapes (for rosé.)" This makes sense because rosé grapes are harvested earlier than red-wine grapes, so late heat spikes might take them to ripe but not overripe. And all those grapes are specifically grown and harvested for rosé, which is a major reason why Mateus tastes better than a lot of more expensive rosés. Many wineries make rosé by bleeding off some of the juice to concentrate their reds, so their rosé is just a byproduct. In other cases, wineries take the red wine grapes that aren't up to snuff and dump them in their rosé, and it shows. Sogrape is now making less than 2 million cases of Mateus. It's a lot, but the company can be pickier with its grapes than in the 1970s, when it was selling 4 million cases a year in the U.S. alone. Mateus started to fall from grace for a number of reasons. Who knows why objects lose their cool? 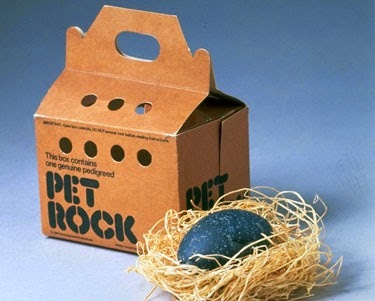 The late '70s were an era when people not only had rocks for pets, but paid money for them so they could have an official Pet Rock package for validation. But Sogrape made a bad situation worse in 1983, when it sued its U.S. distributor, Schenley, to try to regain distribution rights, and lost. So Mateus not only wasn't selling well; a resentful distributor had total control. Sogrape could have slowly folded. At the time, it was barely diversified. Sales were good in Iraq -- Mateus Rosé was Saddam Hussein's favorite wine -- but there are only so many dictators in the world. So Sogrape began purchasing well-known Portuguese brands, culminating in its 2001 acquisition of Sandeman. Bessa says Sogrape still suffers in the U.S. because of that lawsuit 30 years ago. "We haven't been able to get a distributor who believes Mateus could come back," he says. 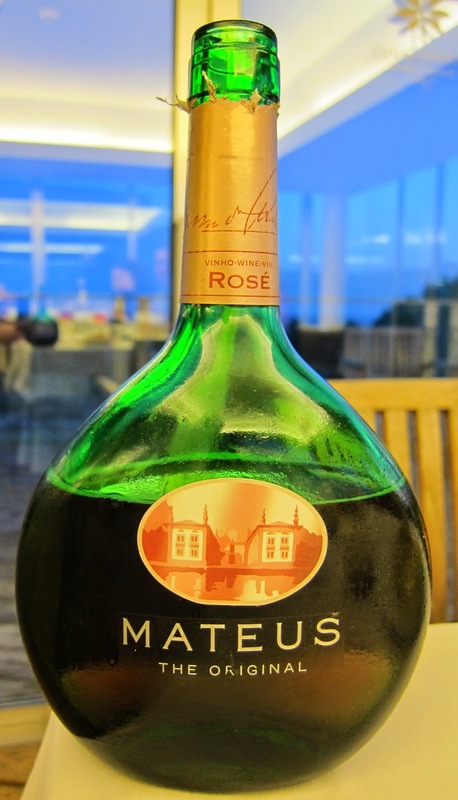 For the heck of it I had somebody pour me two other rosés and the Mateus into three glasses and I tried them semi-blind; I knew the Mateus was one of three, and had recently tasted it. That said, I still preferred it, for its freshness and balance and restraint. I'd like to throw it into a Kool Kids Wine Kritiks' rosé tasting, but I doubt any of them would have the courage to admit that they liked it. Me, I'm in touch with my inner Queen, and we like what we like. Hey Frank, good to hear from you! Sure, you can use the post. Let me know when you're out here. I had the pleasure of attending college with a member of the Pedroncelli family (hailing from the Russian River Valley) who resided in my dorm. At his invitation, each year about 40 of us underage and "of age" dorm resident imbibers would make a car pool caravan pilgrimage to Healdsburg for Spring break . . either sleeping at the Pedroncelli's hillside Bohemian-style "writer's retreat" cabin, or on the banks of the river à la Tom Sawyer and Huck Finn. On one excursion I lead a visit to the tasting room of Simi. I being a Mateus rosé drinker saw they had a rosé. I asked for a sample. The single greatest rosé I have ever tasted in my life. Simi Cabernet Sauvignon fruit from the fabled 1974 vintage. Purposely picked and crafted by Simi as something for the employees to quaff on a hot Summer afternoon. It is lamentable that more wineries don't make "serious" rosé. As for the Pedroncellis, they still make a Rosé of Zinfandel. Dry in style and evocative of tart raspberries. When I went into the liquor store last night and asked about mateuse wine they all looked at me like I was some crazy older lady. I just had to come home and Google it. I wanted to be sure I wasn't crazy. Turns out I'm not. We always used it in an old family Greek recipe for Greek spaghetti sauce and it really was disappointing that I could not find it. Any suggestions? You could probably substitute another semi-dry rosé. Enjoyed this post! 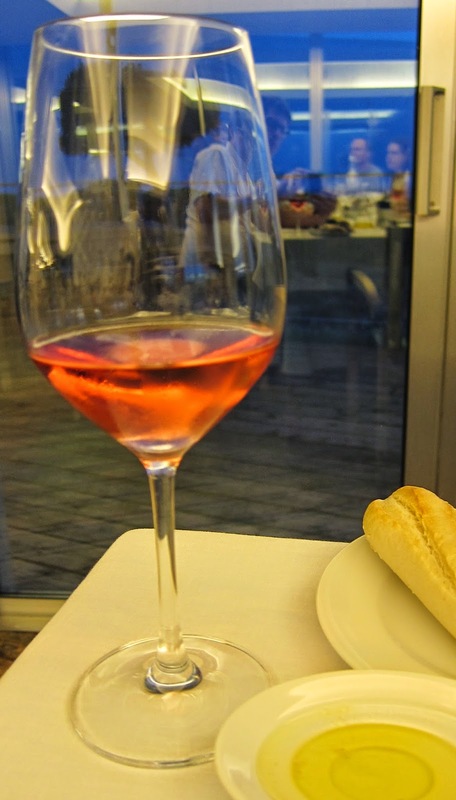 I tried Mateus rosé for the first time on the Sud Express train from Spain to Portugal. Our neigbhors in the bar car offered a taste when I looked curious, so nice of them. I thought it was delicious and ordered it often in Lisbon. Is it available in SF? Wow. Mateus and Lancers are great wines. Perfect for serving at a Thanksgiving dinner by the way. I've spent the afternoon looking for either with no luck. Hope they make a comeback soon. Great article. Thanks for reviving wonderful memories. When I was stationed in Germany in the early '60's, Mateus Rose was the loss leader at the local "class six" store (US Armed Forces Exchange liquor store). Portuguese wine, German bread and sausage, and French cheese were our off-duty staples. G.I. Waste paper cans filled with snow or ice generally held around 6 battles of Mateus Rose. My husband enjoyed Mateus in the 1970s when we were the only ones we knew drinking wine, and we were living in California! We loved it then; we love it now. Some things that are excellent in the beginning stay excellent with time. Cheers! Excellent article! Excellent comments! My wife and I felt in love with it in the 200s, in Montreal. Then moved to Vancouver and chased it and found and kept enjoying it. Now, living in Santo Domingo we had the luckiest moment when my wife found it at cava alta. Long story short, I invited my cousin last night for dinner. He arrived with a very nice red wine (he is a connoisseur, not like me, a beer drinker that likes Mateus Rosé) and I thought, I made the biggest stupidity of the night rejecting his wine, but not only that, my wife almost killed me, swapping it for Mateus and adding a silly introduction to it: with our dinner tonight, salmon, please enjoy this wonderful and cheap rosé. So your article (Because Mateus Rosé is not just cheap…) saved me from my wife and hopefully will change my reputation with my cousin le connoisseur. Thanks for sharing, Luis! Not just sharing your story -- sharing some fine rosé with your wife and cousin. I am delighted to find this article! I ordered Mateus twice in Barcelona, the first time quite randomly, and the second time quite deliberately because I liked the first bottle so much. Now I will enjoy it even more having learned some of its "provenance," if you will. I was born in '77 and had no idea of its reputation in the 70's. This just makes me smile! Thanks for the article. 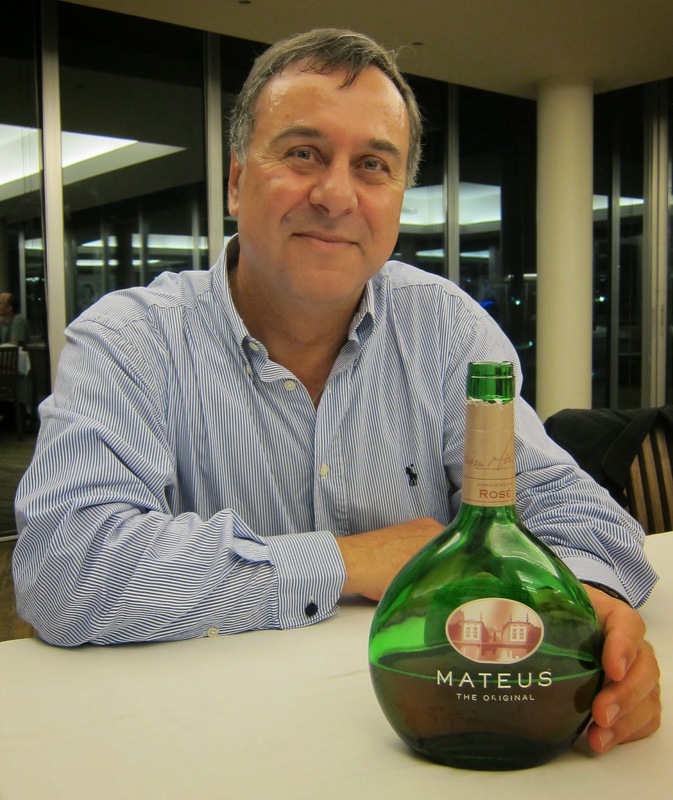 Mateus was my favorite wine in college and post college in Boston/Cambridge. It was a wine that I REALLY liked and was affordable. My tastes and values are often non mainstream (big supporter of Jill Stein) so I just figured I was not in sync with popular taste. Then I read an interview with Mario Puzo after he wrote Godfather. He could afford any wine in the world and he said that Mateus was his favorite wine. Made my day! I've been unable to find it in California and I read somewhere that it is drier and more sparkly than in the 70's. ??? People are such wine snobs these day and have zero reason to be given 99% of people cannot tell a £5 bottle from a £50 in a blind test. People like to think they're sophisticated but mostly they're just sheep to the wine marketing wolves. 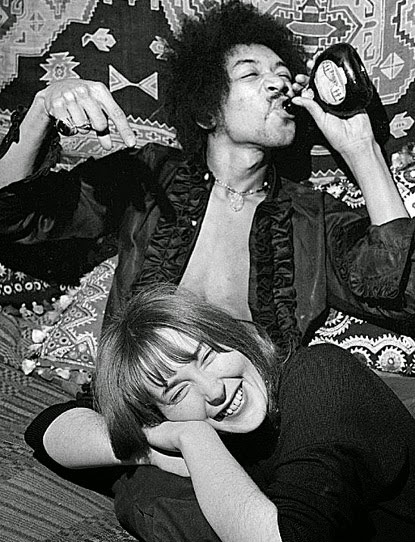 Most punters believe that as long as they insist on only buying from a limited list of dry wines with high ABV% then they're doing something right but in fact they're missing out on a whole world of lovely drinks. It makes no sense because you'll find that person who "cannot stand" a semi-sweet wine happily spooning 4 sugars in their coffee or sucking down bottle of Fanta - mysteriously their love of only the driest drinks vanishes outside of wine. I've enjoyed many a bottle of Mateus on hot day and also other forbidden wines like semi-sweet reds, sparkling Shiraz, fizzy Tokai and the some of the new-wave and wonderful Lambrusco's out there now. I can't get most people to even take a sip as they "know" they won't like them. Wine snobs are almost as annoying as coffee snobs. Almost.